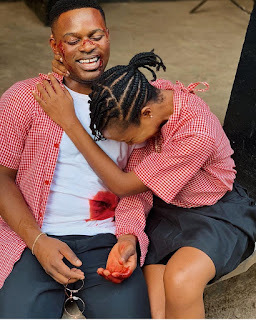 The Nigerian Rapper, Falz the bad guy has taken to his page to share the 'behind the scene' photo of his newly released song Moral Instruction. "BTS from the #MoralInstruction Curriculum shoot. We had so much fun making this. Now you see why the beard disappeared 👀"